New Citrus is a premium odor counteractant that encapsulates odors immediately upon contact. New Citrus is not a masking agent as it eliminates odors permanently by attacking the chemical structure of many offensive odors. New Citrus is formulated for institutional and commercial use. 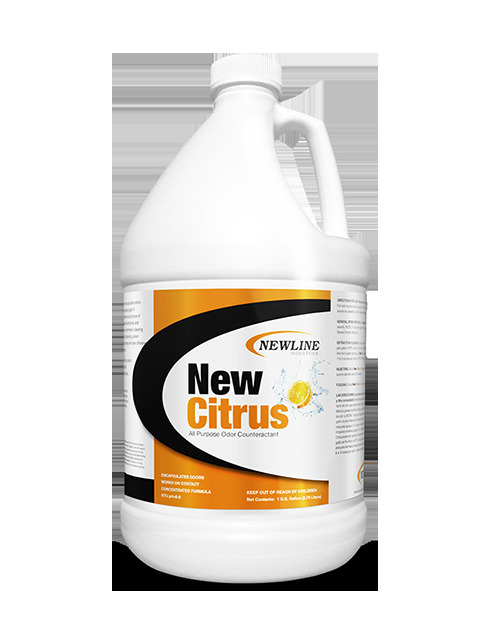 New Citrus may be added to any residential or commercial cleaning product to improve air quality thus improving the cleaning system. New Citrus can also be ULV fogged, injected and used as a post spray. New Citrus is recommended for use on the following odors: (urine, pet, smoke, mildew, bacteria, vomit, skunk, airborne malodor, sewage, trash, organic, sulfide and more).